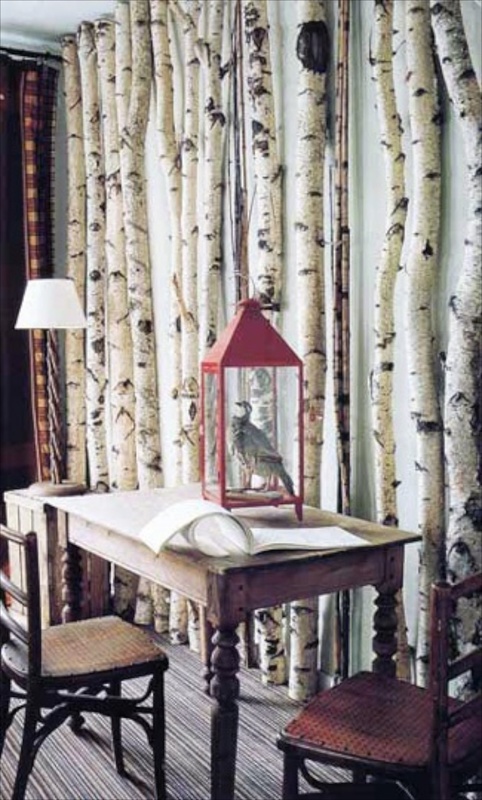 Bringing in natural elements into home decor, adds not only interest, but texture, color and sometimes surprise. Birch trees are one of my most favorite trees. Used often in the landscapes where I grew up, they could grow to impressive size, and with their thin arching branches, it could create a ready made place in the shade. Their leaves turned a glorious shade of yellow in the fall, and their bark, like many crepe myrtles, add incredible beauty to the winter landscape. 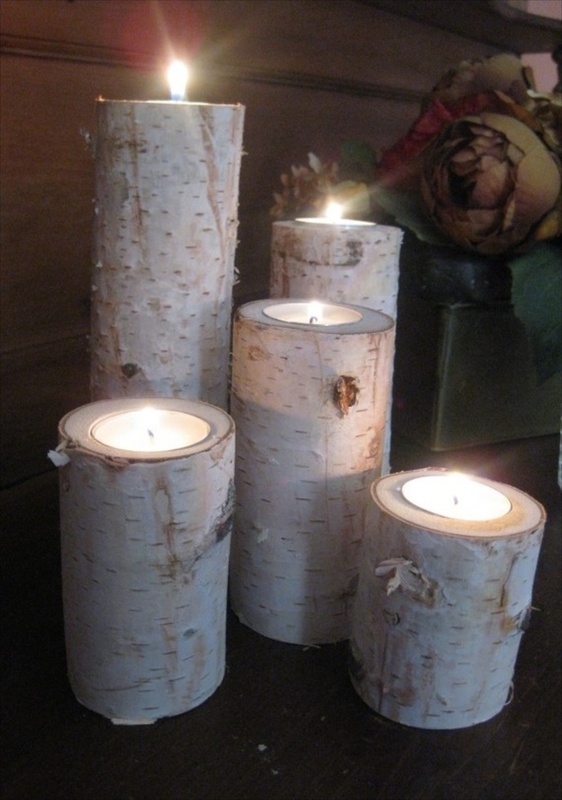 So when a birch tree parishes, why not bring some of it into the home? 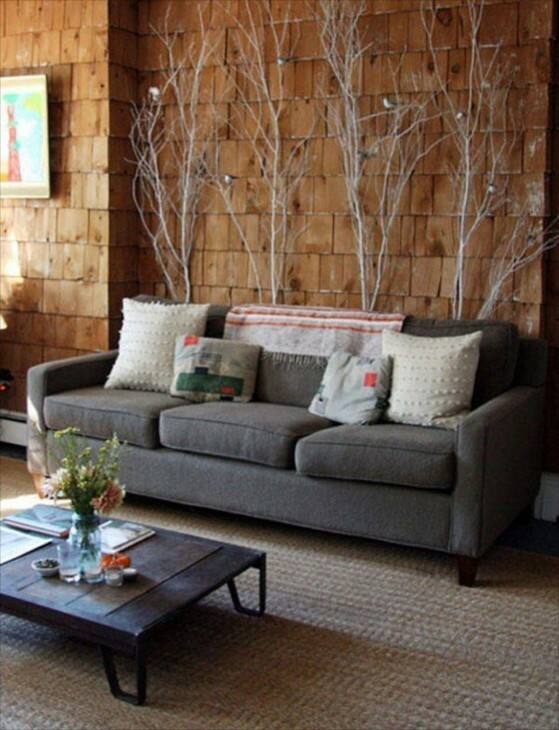 Below are ways to utilize the beautiful and uniquely colored trunks and branches in the home. Birch trees have the most beautiful bark, either white birch or the creamy beige of the River birch. As the tree matures, it peels, lending beautiful texture, especially in the winter. 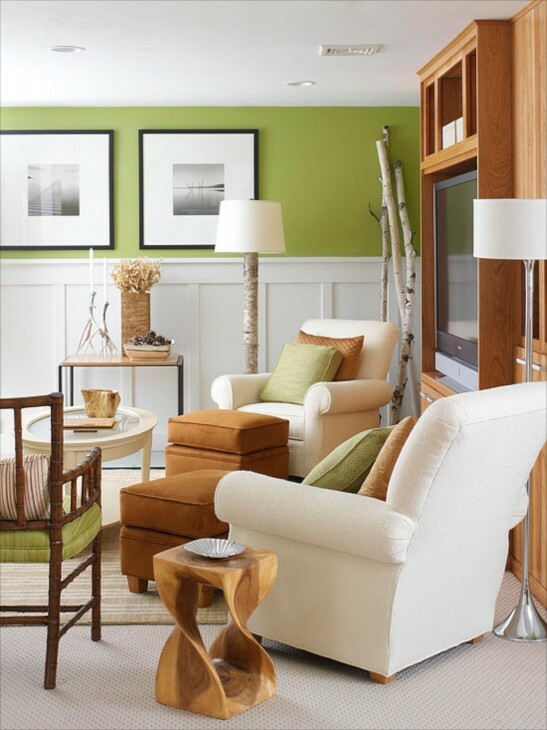 In spring, the bright, almost citrusy green leaves illustrate one of the nicest decor color combinations – white, black and green. Yellow is also beautiful with black, white and green when used as an accent. This is another kind of birch, called a River Birch. It is darker in color, and the bark peels as in the various white birches. 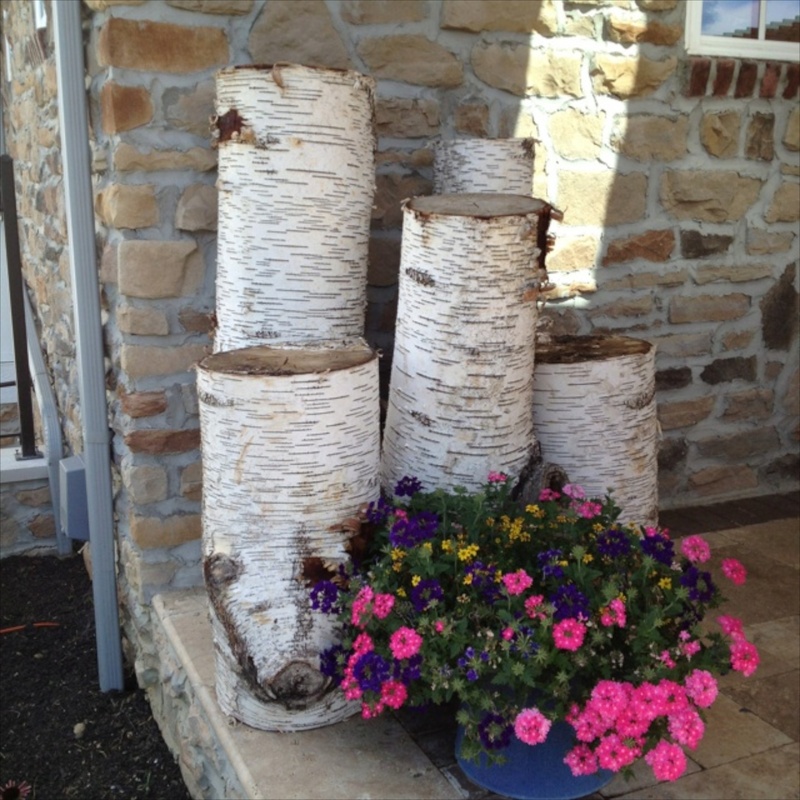 Usually in decor it is the white birch that is used, but I thought I would mention this variety. I always hope that a tree lives out it’s normal life, or is managed in a sustainable way. 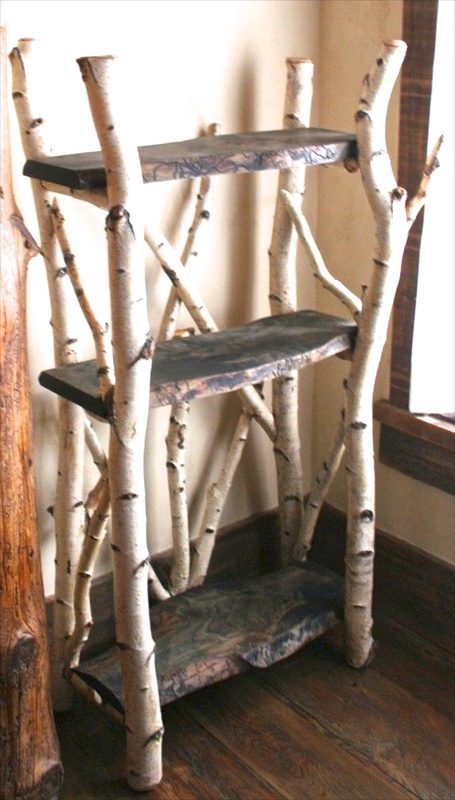 When birch wood is available, it makes beautiful furniture, floors, cabinetry as well as useful and decorative items. Let’s look at how you can use available birch in interesting ways in your homes decor. 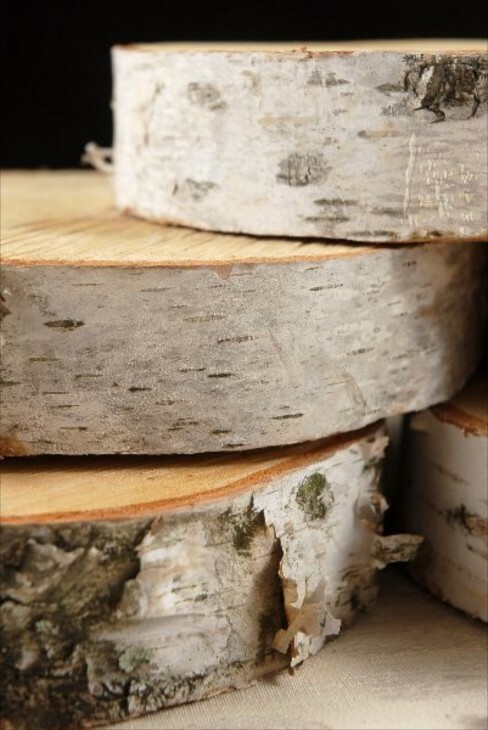 If a slice of a birch trunk is available, it would make a wonderful cutting board. Or use it out on the deck or porch to rest either a plant container or a hurricane lantern on it. A floor lamp made from birch branches lends an organic look and would wok in a country, rustic or a contemporary setting, depending on the shade you choose. Although this setting might be a commercial one, it could also be used in a home environment. This one adds so much texture and visual interest. Back lighting would be beautiful. 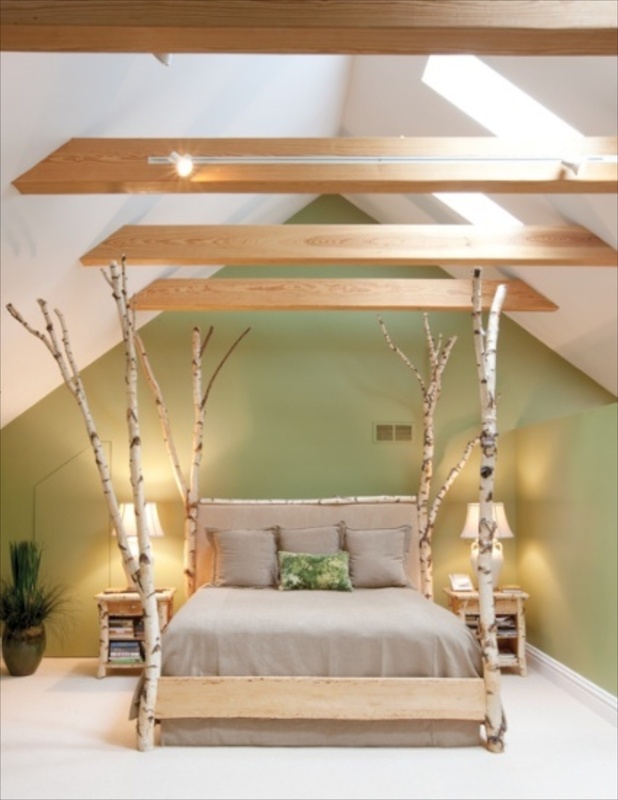 A serene environment with organic elements…..the wood beams, the stone mantel and the birch tree limbs. I like this idea very much, although I am not crazy about the color of this frame. 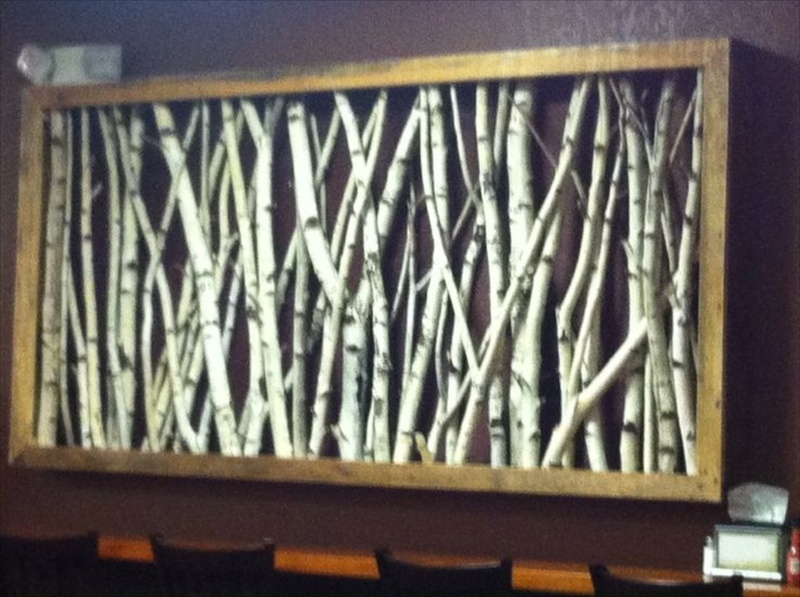 Something like this would be beautiful against a wood wall, or above the mantel of a stone fireplace. 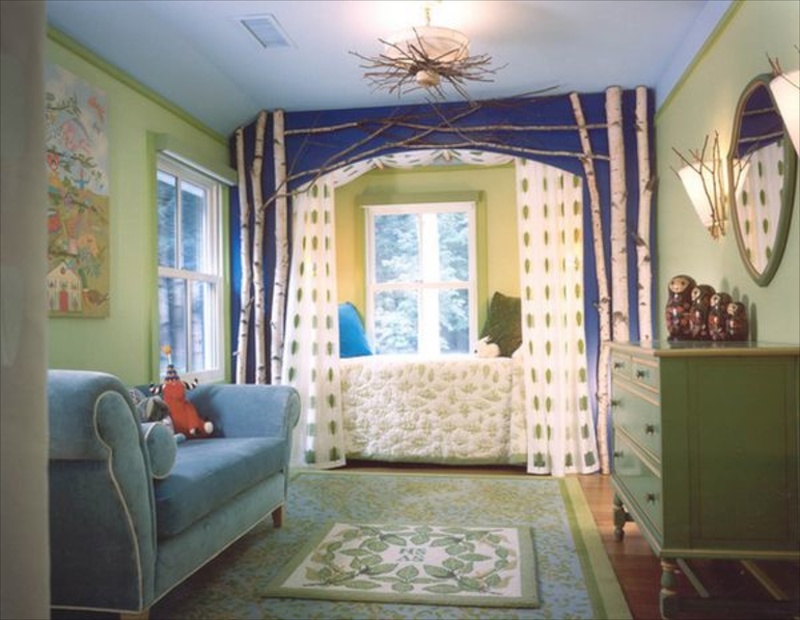 This is a delightful children’s room, accented with birch tree limbs and branches not just around the cozy enclosed bed, but above surrounding the light fixtures on the ceiling and on each side of the mirror. 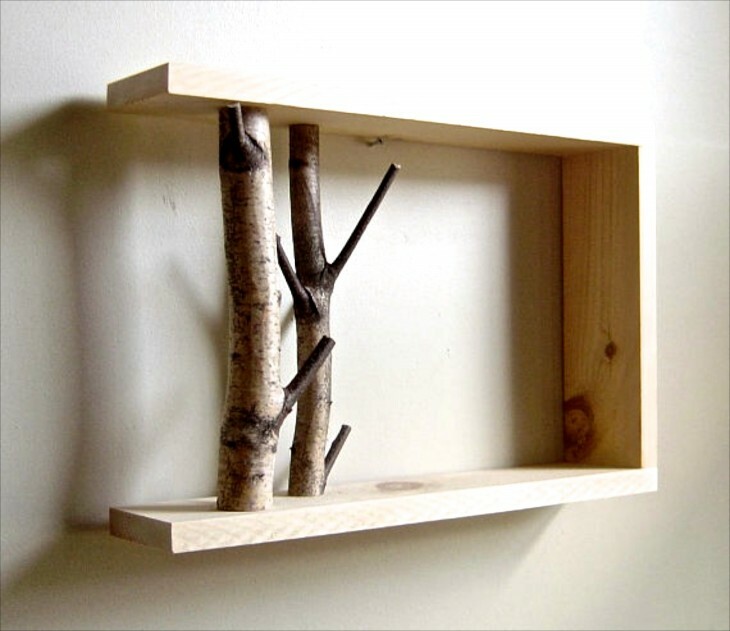 Sweet decorative shelf. 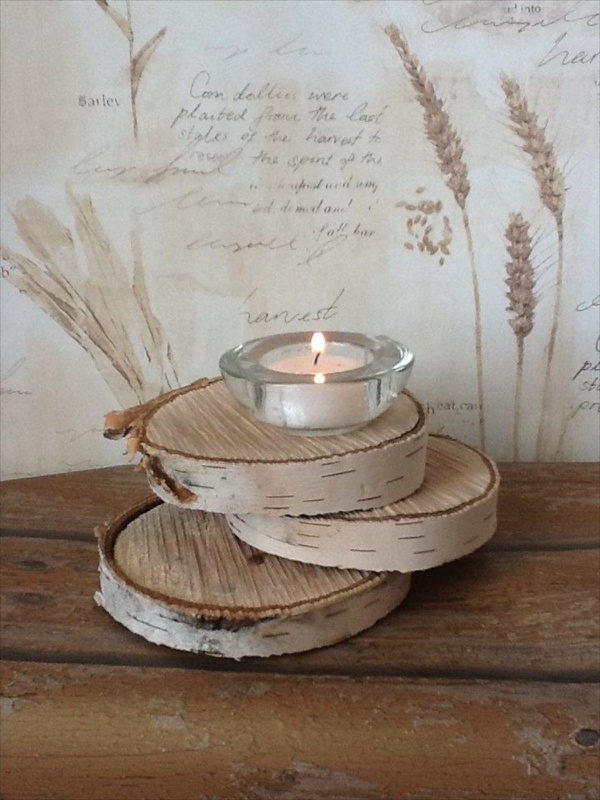 Lots of uses for a small decorative item like this. Very feminine and airy, as well as very budget friendly. 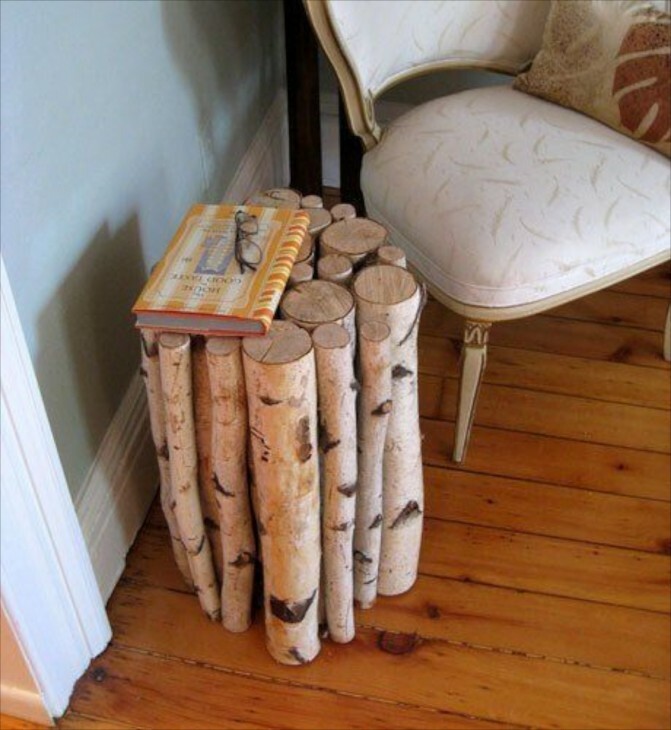 I thought this was quite clever, and could be used in many rooms of the home. 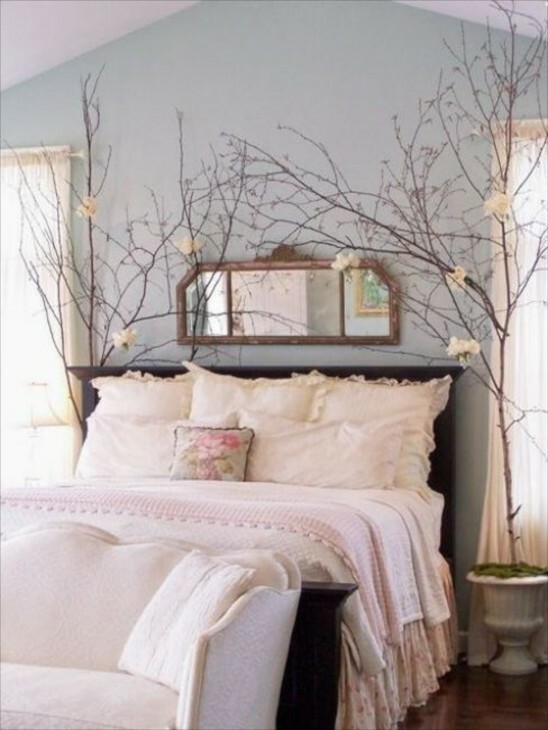 You could paint the frame white if used on a darker wall. This room is eclectic and organic with the branches placed in front of cedar shingled walls. The felt birds in the branches adds additional interest. Big impact for very little expense. 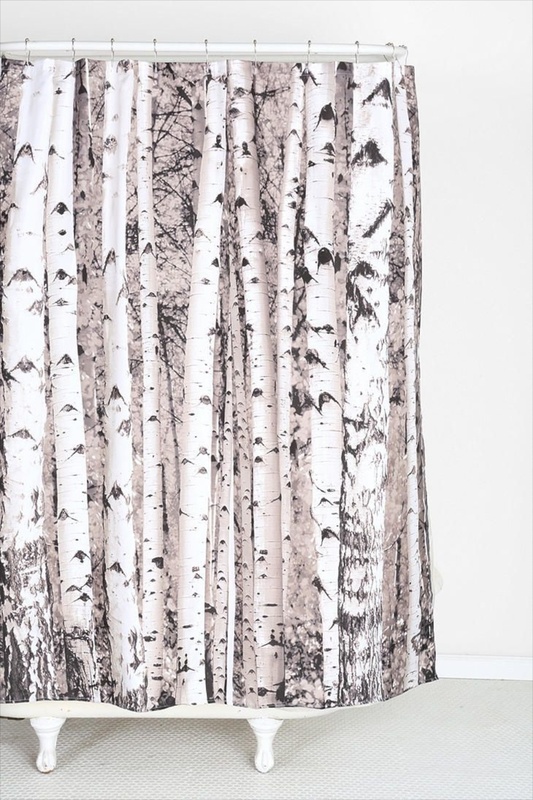 Although this one is hung inside, it would be lovely to hang several from tree limbs surrounding an outdoor table. Romantic for sure. How easy is this? If you can hammer a few nails, this is easily made. Paint it a bright color for a child’s room, stain it to match cabinetry in a bathroom or hallway….really anywhere you need a small shelf. 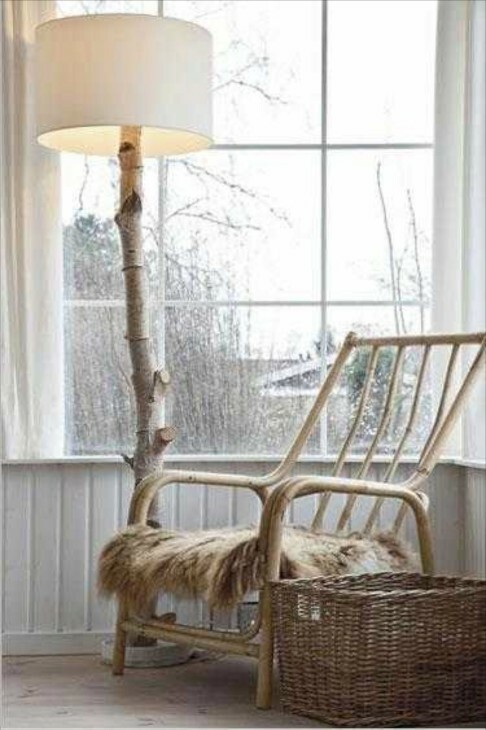 Another example of a limb made into a floor lamp. Change out the shade for a diffract decor style. 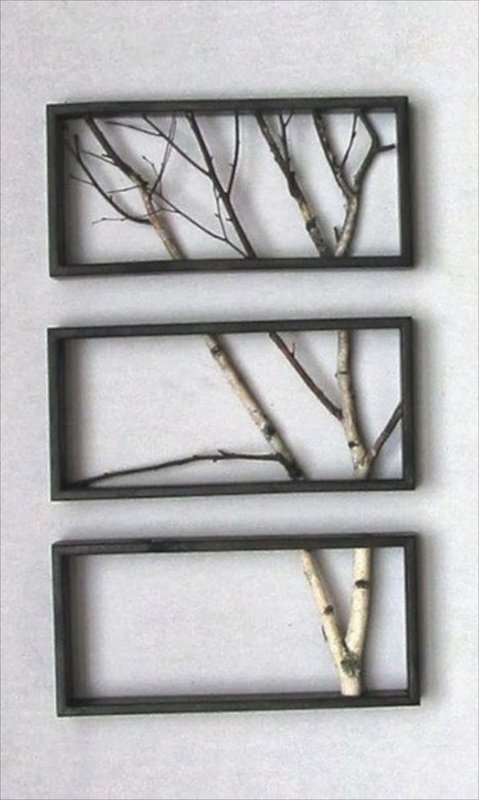 Another way to frame some birch branches or limbs. 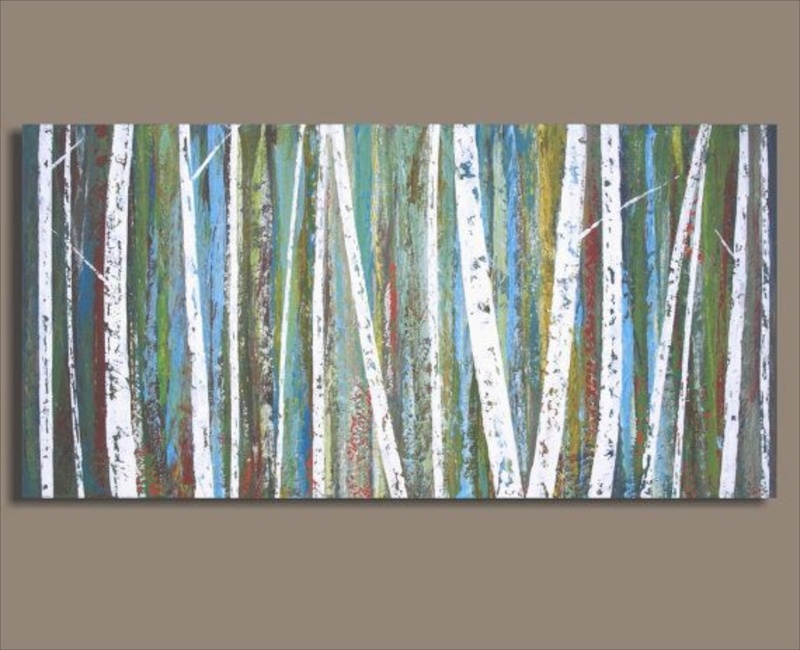 I would again think about using a frame color that will emphasize the stark coloring of the birch. 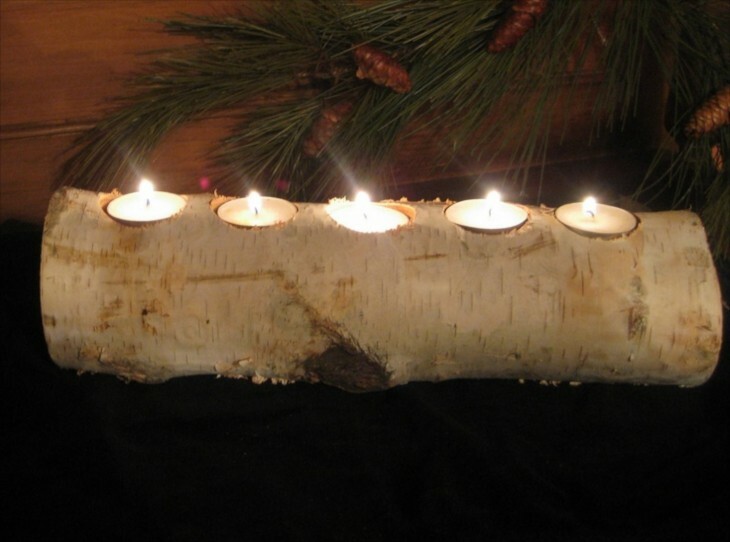 Drill a hole in a limb with a drill bit, and bingo – candle holder. Never leave any candle unattended! 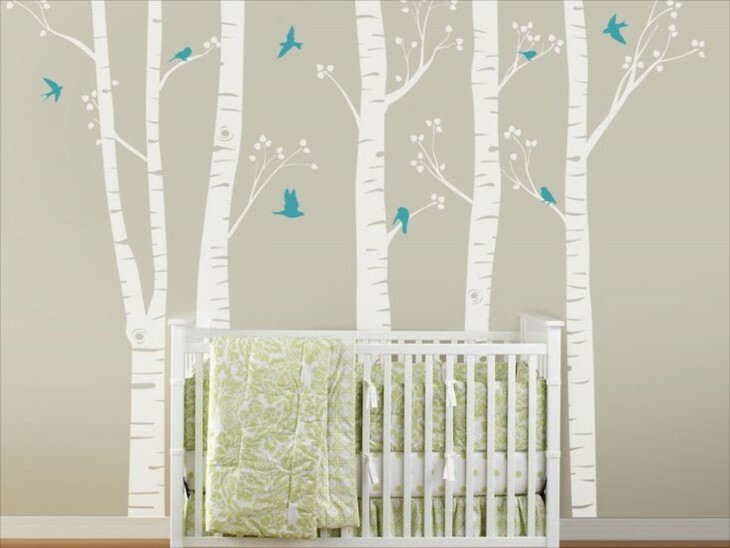 How cute would this be in a nursery? 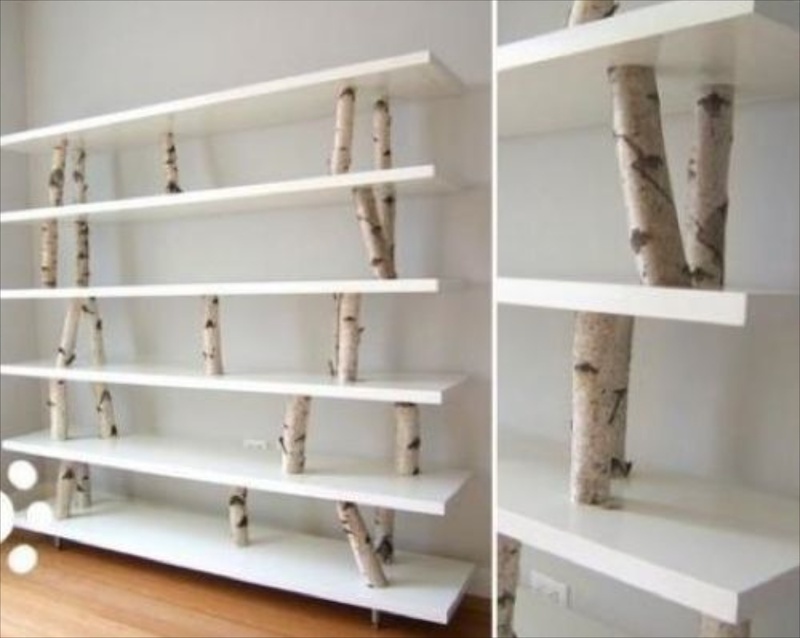 Place stuffed animals and children’s books on it. Make sure to attach it to the wall for safety. Bring the outdoors indoors. What child or adult would not smile if offered a meal sitting here? 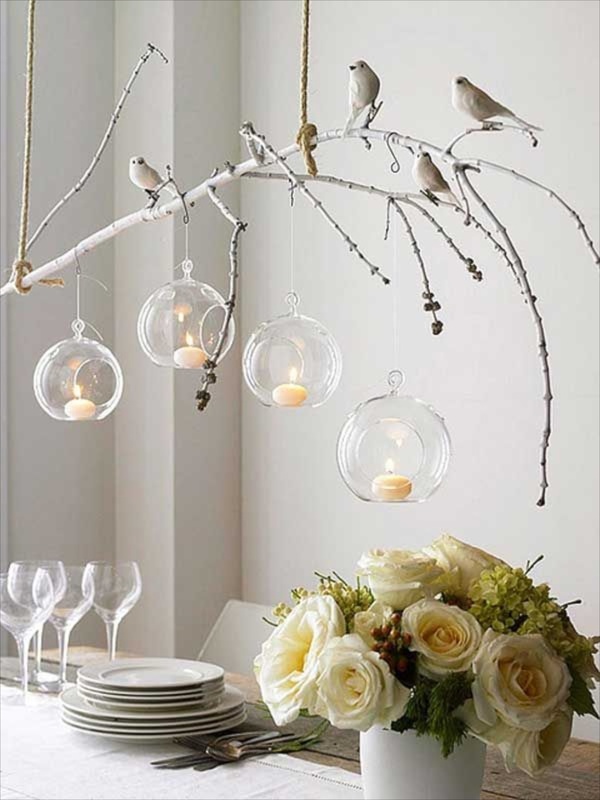 Or use it as a buffet, against a wall, and wind twinkle lights through the branches for a special effect. In an above example we saw birch used in a commercial area, but here it is used behind what could be used as a desk. Then use the limbs as a message or task board. I would like to try a black background behind this wall. Boy, would those limbs and branches pop! 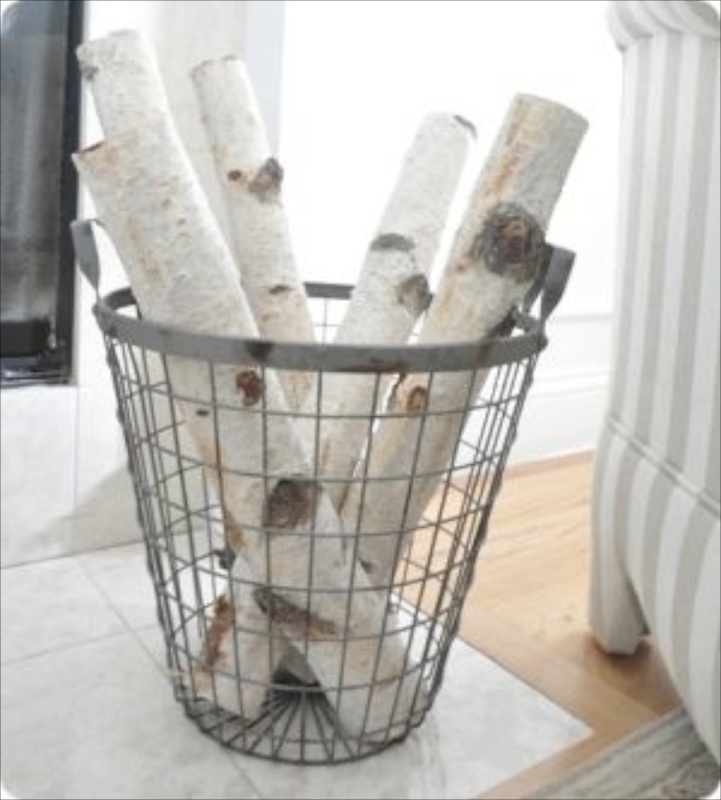 Just place a few in a wire or woven basket for instant decor. Instead of candles, place flowers in the drilled tops. An alternate choice would be vines or evergreens. Bunch together limbs and branches and make a table for a casual or more formal decor. You might even want to add a thick glass top. 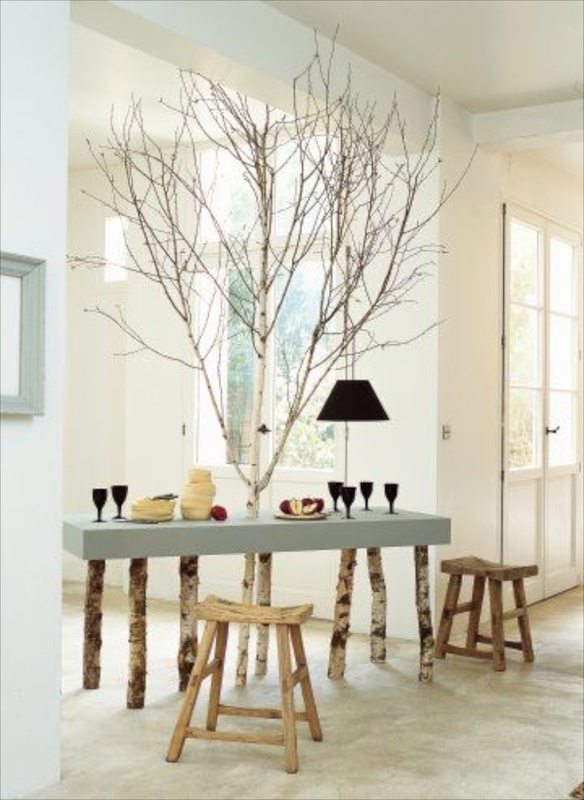 One limb, a few holes and a rustic centerpiece. 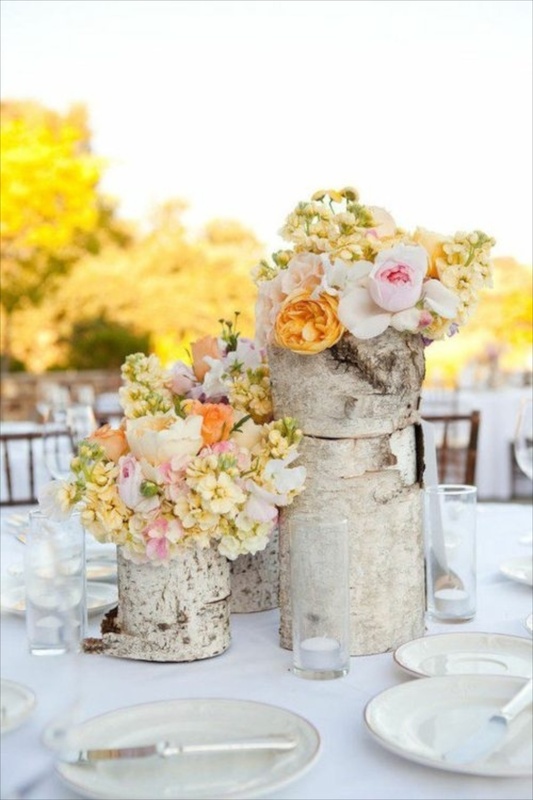 Limbs make a nice backdrop for flower containers, or use the limbs as pedestals and place plants on top of each one. This grouping looks especially nice in front of the stone wall. 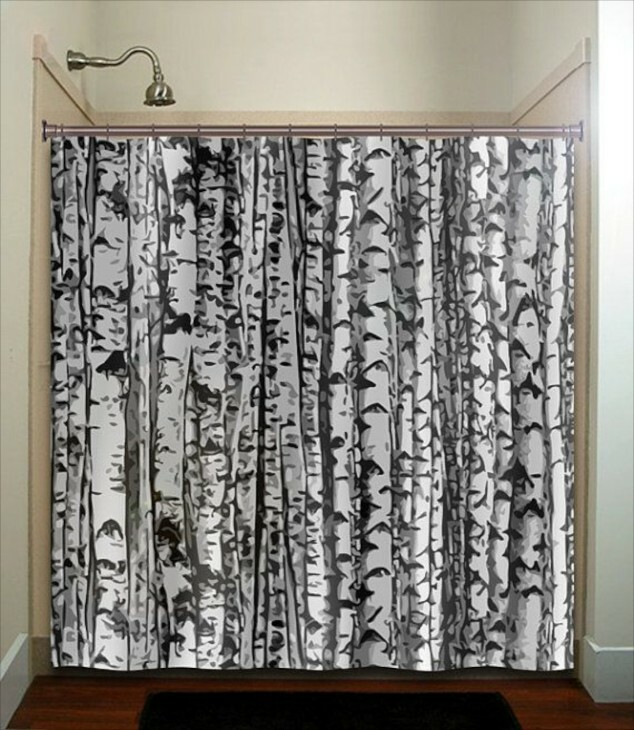 Here a printed birch branch shower curtain adds a fun vibe. 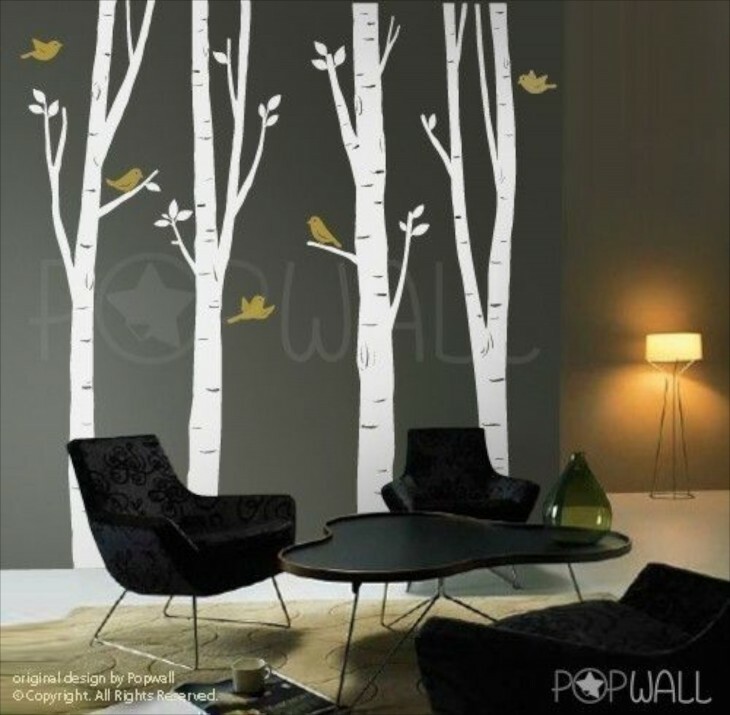 There are many different birch tree wall murals available. Here is an example of one in a nursery that would work for a boy or a girl. Use a mural along a hall or foyer wall. A nice example in a contemporary setting. 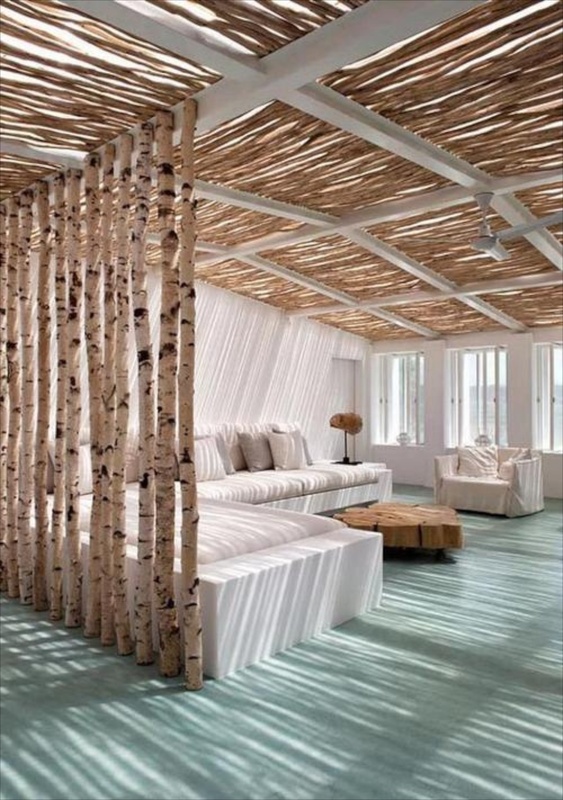 This is a room in a resort. 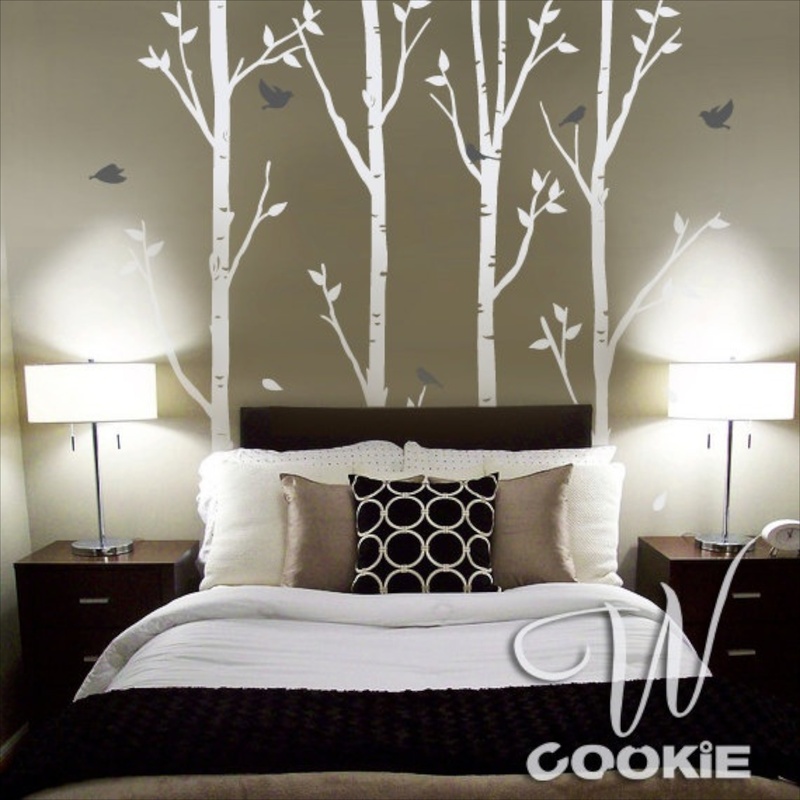 I included it because I just loved how the branches created enchanting light patterns. In the summer, entering this room would make me immediately feel cooler. Not sure how I would feel in the winter though. I do like this room no matter. A large flotkati rug at the end of the bed would add warmth and texture while keeping the neutral vibe. 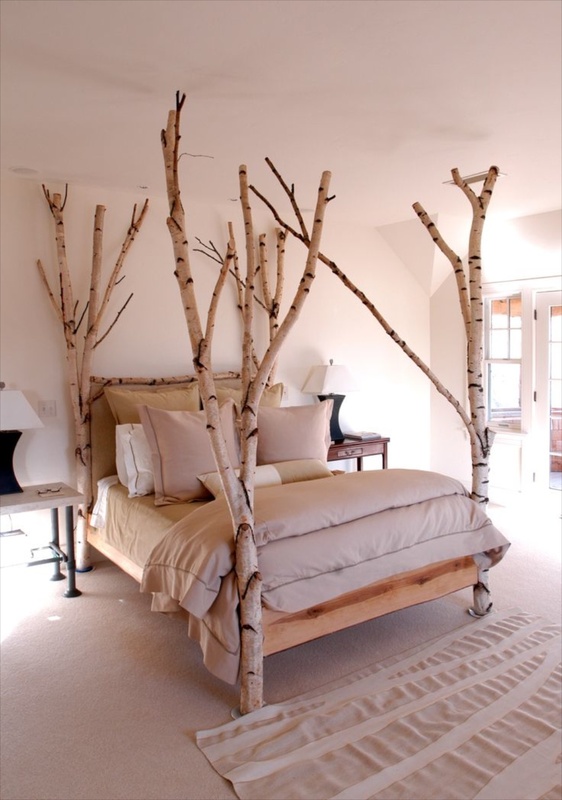 A nice example of using birch limbs around a bed frame in a neutral room. Another example, but this one is set in a green bedroom. The birch wall mural looks bolder backing a black bed and darker pillows. 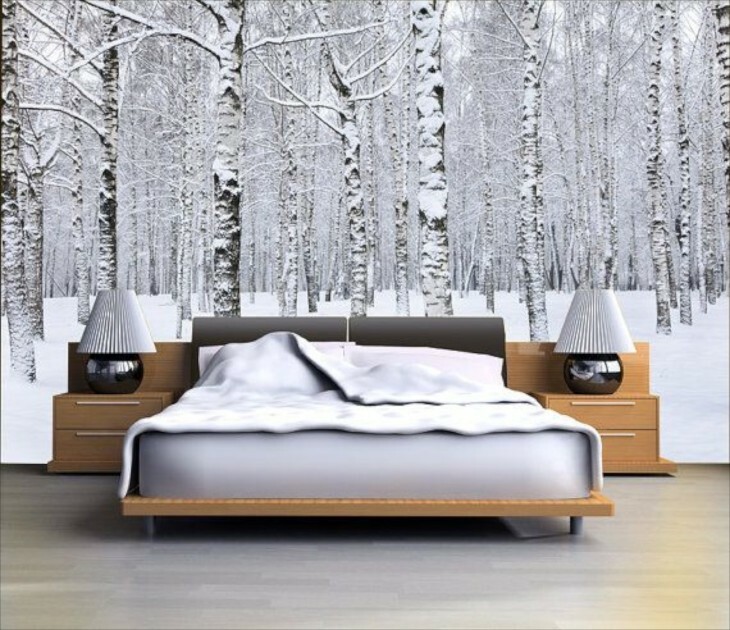 White bedding is another choice. 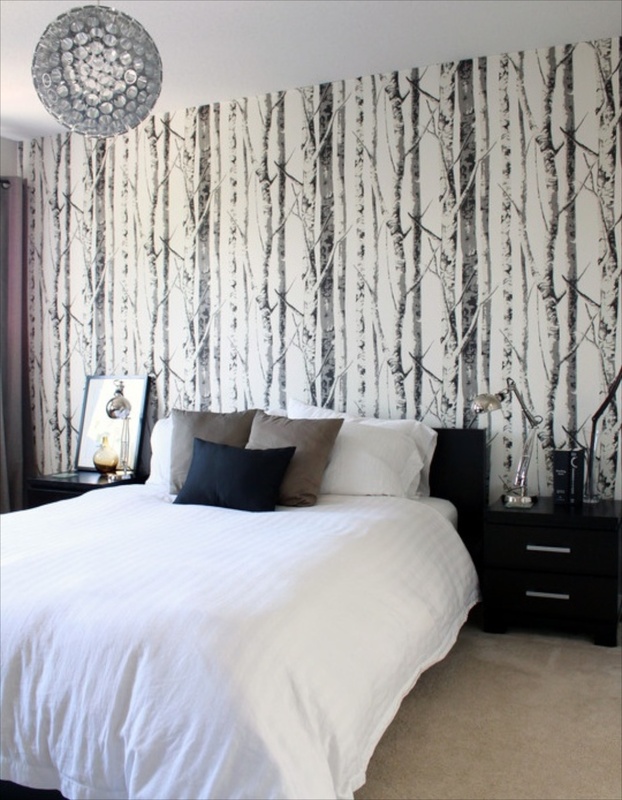 The birch bed become the feature in this monochromatic room. 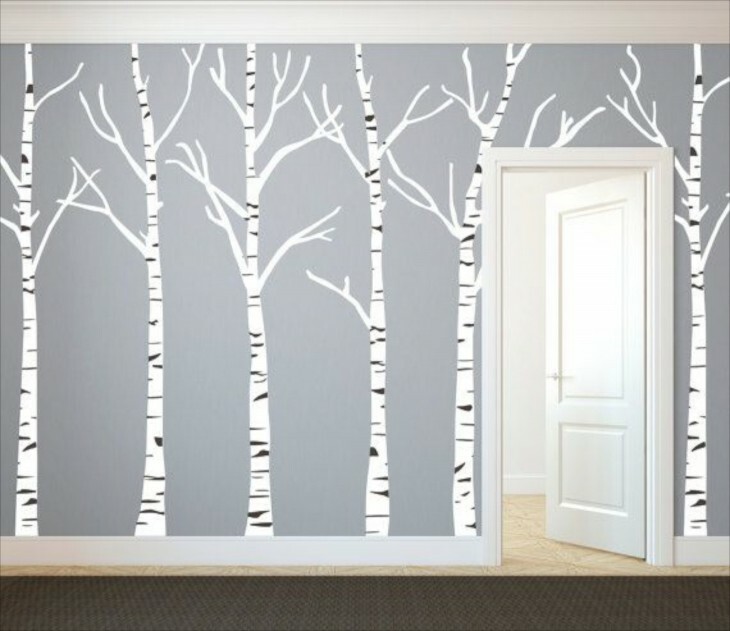 This sure beats boring white walls in a hallway or in the guest or children’s hallway wing of the home in a split bedroom plan. Or a painting of birch trees can have equal impact as well. And easiest of all? Take a few limbs and lean them in a corner. My favorite room of all. This is another kind of birch, called a River Birch. 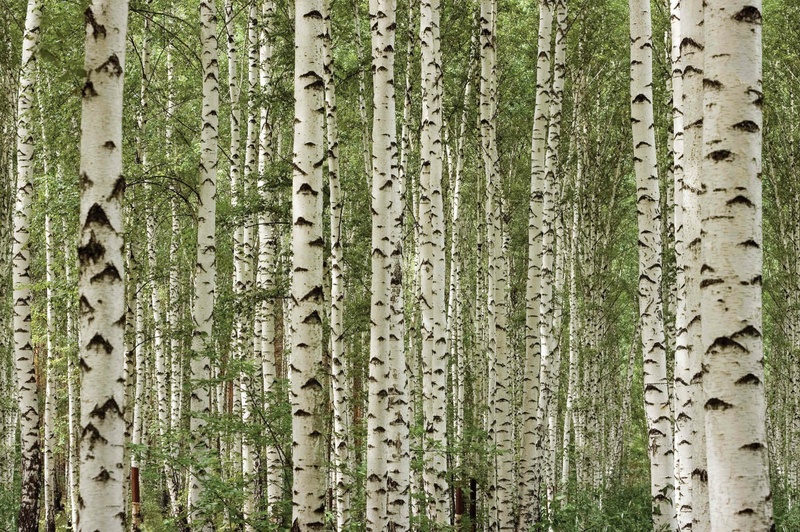 It is darker in color, but the bark peels as in the various white birches. Pretty isn’t it? 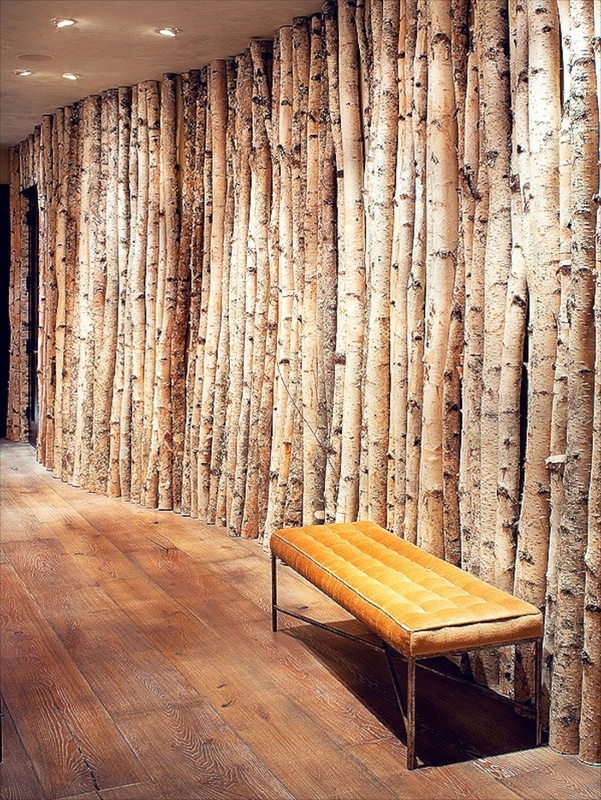 When it comes to decor, the various white birch trees are used for the most part. 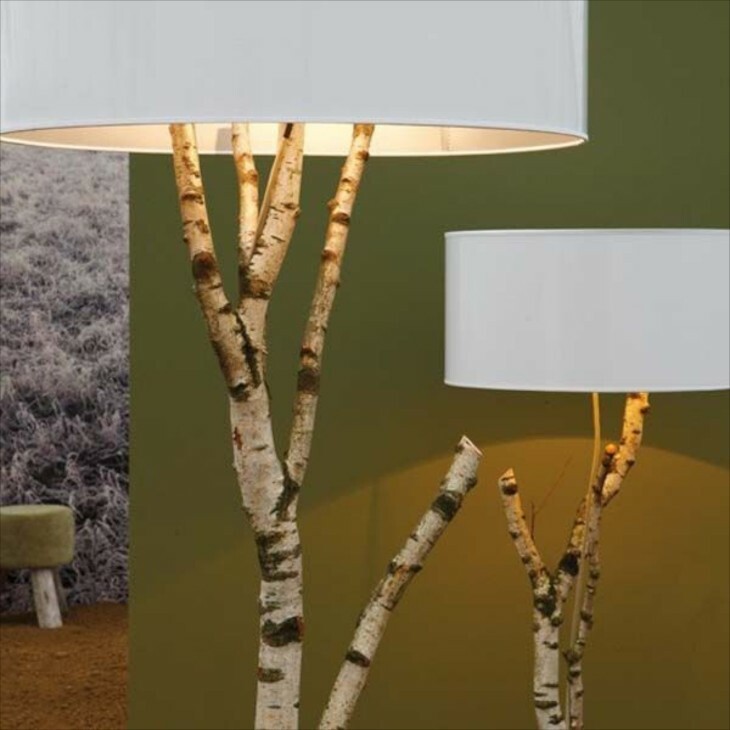 When planting birches, put in a small cluster. They grow best as a community or family — not as a solo tree. You are so right. Their impact can certainly be experienced more when planted as you said. When I was a youngster growing up in the Finger Lakes area, the River Birch was frequently planted as a specimen tree and they were pretty impressive. They were all multi trunked, and huge and I loved their weeping form. 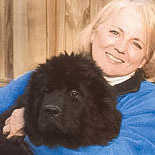 Thank you for reading and taking the time to comment. This was a fun post! 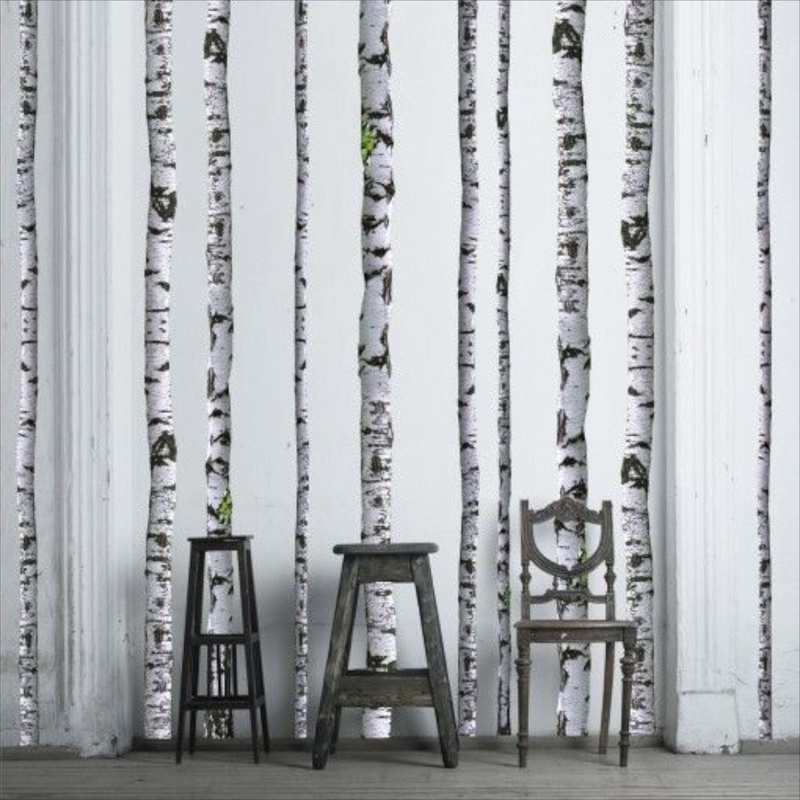 White Birch is so beautiful. We have a River Birch in our back yard. I have seen the Birch candle holders in stores. They may be faux tho? 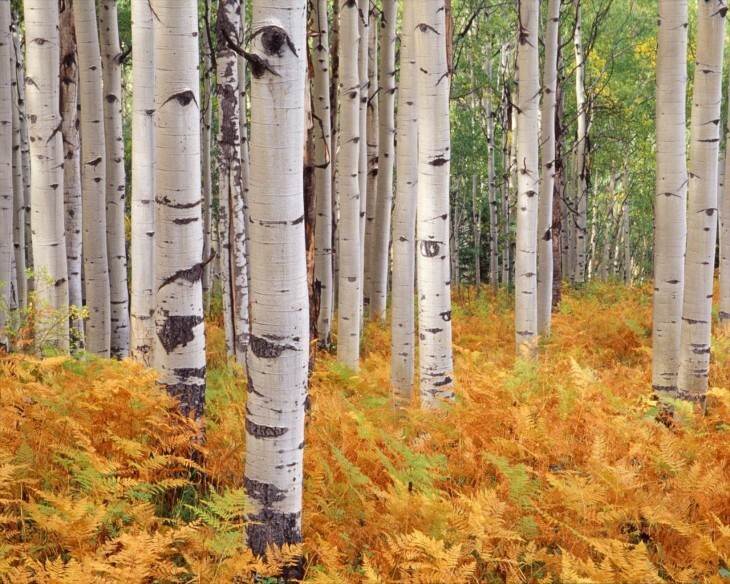 How I wish we had the white birch here in the south. 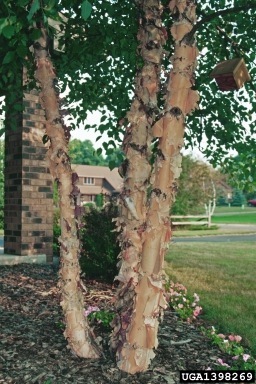 I do have a beautiful river birch in my yard though. Surprisingly, the river birch isn’t popular here. “They are too messy” is the comment I hear most. 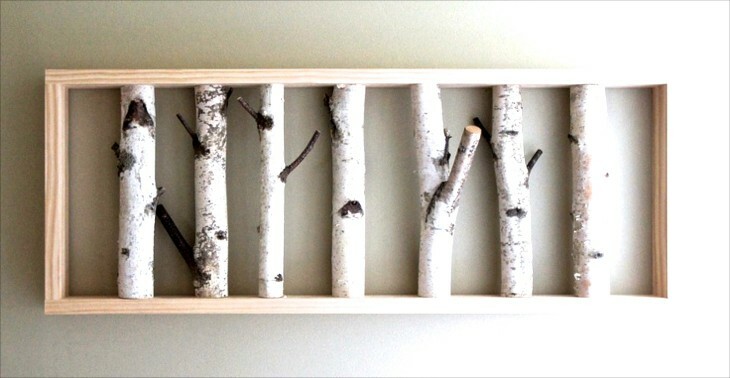 Growing up on Long Island, we had a fireplace that my parents never used, but my dad always had logs of white birch on the grate because it looked pretty. Birch can can be a bit messy, but all trees have some disadvantage, seed pods, acorns (ugh), roots, but their loveliness makes a bit of raking work it. River Birch can be subject to aphids, but not too often. I think many people make the mistake of planting it too close to the house. If planted as a specimen tree it is not as likely to be considered problematic.Hope you are staying cool! I’m thinking about going out and cutting down a tree!! Noooo, Noooo. Drive around and find one already dead!LOL. Here in this part of Virginia Birch trees are rarely seen, even in commercial landscapes. Not sure why. I grew them in NC in our landscape and miss them.